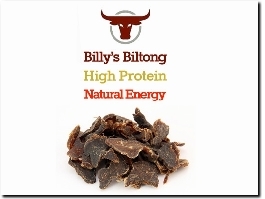 Billy's Biltong is a convenient new range of tasty, healthy, flavoured meat snacks, high in protein & packed with natural energy. Hotelogix – Hotel Management systems helps you to manage your hotel property booking system with various features. It seamlessly organizes the key operations and activities of a hotel like Front Desk operations, Housekeeping, Restaurants etc. It’s a genuine pleasure to walk into The King’s Head Inn at Bledington. There’s no need to invent a ’theme’ for our remarkable, privately-owned Cotswolds inn, as it dates back to the 16th century, when it was originally built as a cider house. We are situated in the quiet unspoilt village of Nether Westcote, in the heart of the Cotswolds. Cotswold View Comprises of 5 rooms all with en-suite or private facilities. All our bedrooms are individually furnished with matching decor. We have Freeview colour TV (except room 3), tea and coffee making facilities. We also offer broadband wifi access in each room.